Fathomeis a real estate advertisements website allowing you to find professional and private properties according to itinerary, duration and distance. 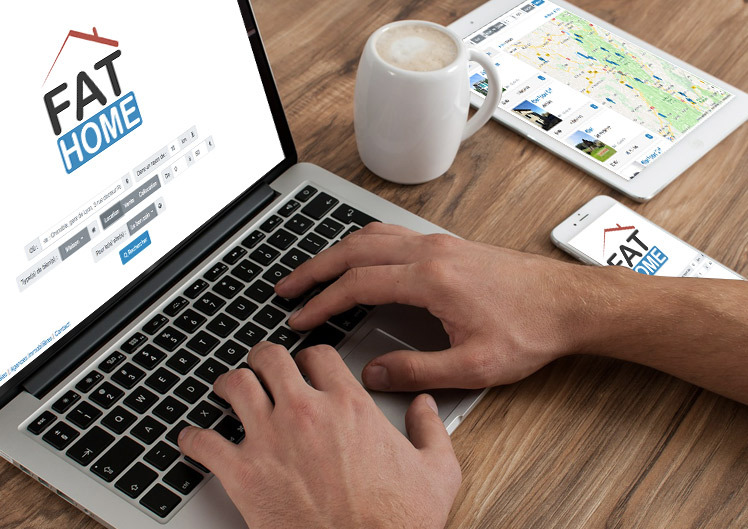 Fathome browse the largest French real estate ad sites and indexes each property in a database to provide an exhaustive list of results. When the user clicks on a link of an ad, he is directly brought to the site concerned. Fathome has the particularity of not hosting ads. The ads viewed by the user are recorded in his browser and it is possible to share the list of selected properties in the bookmarks. Fathome is developed in Ruby on Rails, Ui Bibz and Google maps for FrontOffice. A scraper is implemented in ruby and linked to a cron job to retrieve the thousands of ads on the largest sites of French classifieds. Every day the Fathome site will scan all the ads from a dozen ad sites. All this data is stored in the database in order to be accessed more quickly later. I use the «decorator» pattern to scan the different pages of each website correctly. «Rake» tasks are launched through several «crons» tasks in order to automatize the scrapping of sites as much as possible. Each ad is integrated into Fathome's database to interconnect the concept of distance and duration with the Google Map API. Once the searching is done, the fathome site will request the Google Maps API in order to have the exact address details. Then these data will be included in the ads corresponding to the search. Once this data is collected, the fathome site will request the Google Maps API for these results in order to complete the distance, itinerary and duration information and ultimately display them into a list on the website interface. Each ad is interconnected between the right and left parts. The selected left-hand ads are also displayed on the map as "popin". Same if an ad is selected on the right part, the list on the left will then automatically be positioned at the level of the corresponding ad. It is possible to share the list of ads as bookmark. A base64 encoder url allows the sharing the favorites. During a search, the displayed ads become transparent during the visit to remind the user of the history of viewed ads. As such, it is possible to find them in a page dedicated to the history of visits. Its strength is of course its powerful search that allows searching by area for all ads.